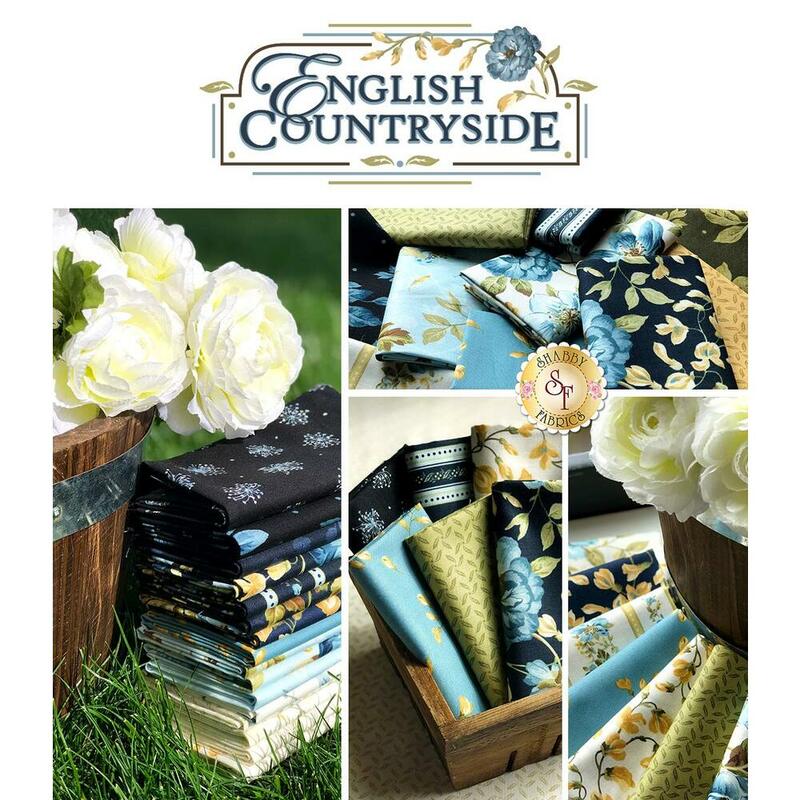 English Countryside is a gorgeous collection by Maywood Studio. 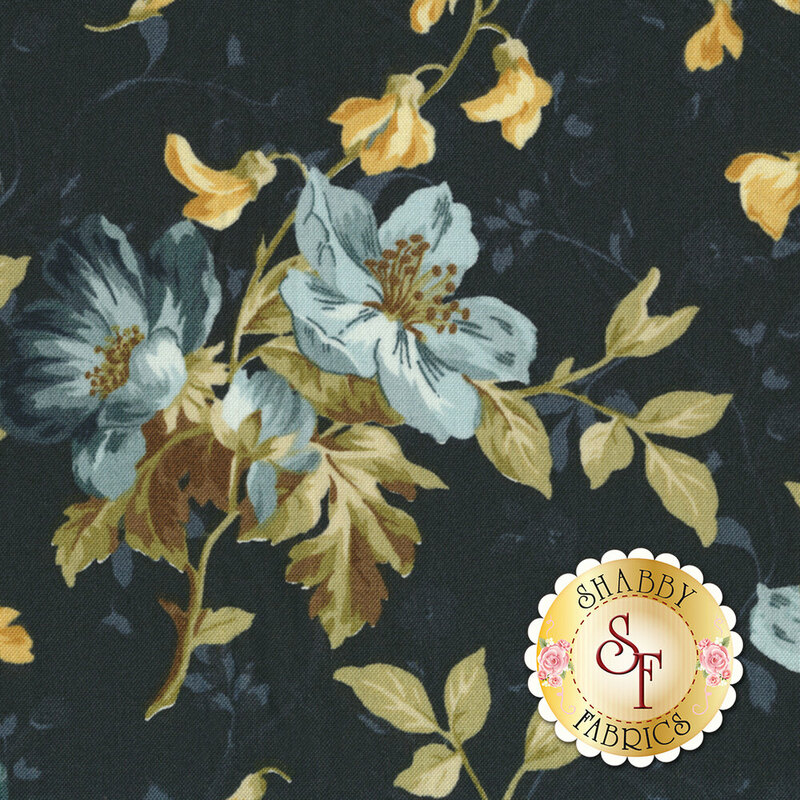 This fabric features blue flowers and yellow flower buds on a dark navy background. Add this fabric to your next wall hanging!